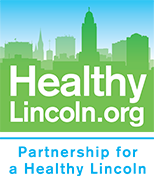 Partnership for a Healthy Lincoln promotes healthy weights and choices through our Healthy Beverage Initiative, Rethink Your Drink. Getting the facts about your beverages helps you to make a more informed and healthy choice. 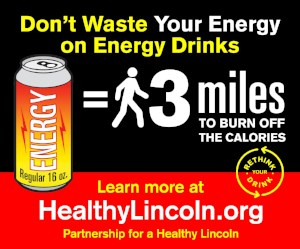 Learn about KIDS AND ENERGY DRINKS. 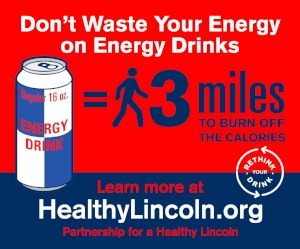 Learn more about other beverage choices like soda and sports drinks. 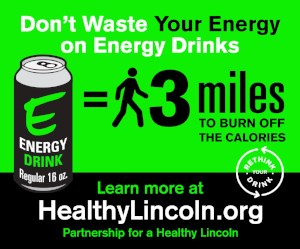 FACT - Regular calorie energy drinks are loaded with sugar and caffeine. According to the Centers for Disease Control and Prevention, soda and sugar-sweetened beverages like energy drinks are the TOP contributors of added sugar to the American diet. The average American consumes about 45 gallons of sugary drinks per year. Sugar-sweetened beverages are defined as those providing no or little nutrient value and containing primarily sugar. Drinking too many sugary beverages is a leading contributor to the obesity epidemic. Obesity increases the risk of diabetes, heart disease, arthritis, asthma, and certain types of cancer. More than one third of U.S. adults are now obese. FACT - There are several problems with energy drinks including how they “fix” the problem of being tired. In short - they don’t. It’s a fact – adults need from 7-9 hours of sleep. A body that needs eight hours but only gets seven hours, will be tired. Some extra caffeine might make up for a short night now and then, but there is no replacement for sleep. A “jolt” of caffeine may be a short term remedy, but it is generally followed by the inevitable “crash”. Caffeine in coffee or tea is generally safe in reasonable amounts, but energy drinks often exceed recommended levels and even add other stimulants like guarana and taurine. Good studies on the safety of guarana or taurine supplements are lacking. The over-consumption of heavily caffeinated energy drinks has been linked to death in some young adults.